be at the top of the music charts!" It is June 3, 2017 as I write this posting, and do you know what the number one album on the British music charts is right now? The Beatles - Sgt. 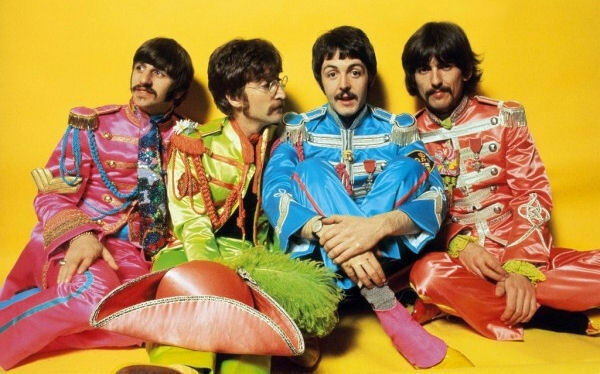 Pepper's Lonely Hearts Club Band! And it's at number three on the Billboard charts here in the U.S. Yes, you read it correctly...this record that was released 50 years ago this week (June 1, 1967 in the UK and June 2, 1967 in the US) is back at the top, or near the top, of the charts. When Sgt. 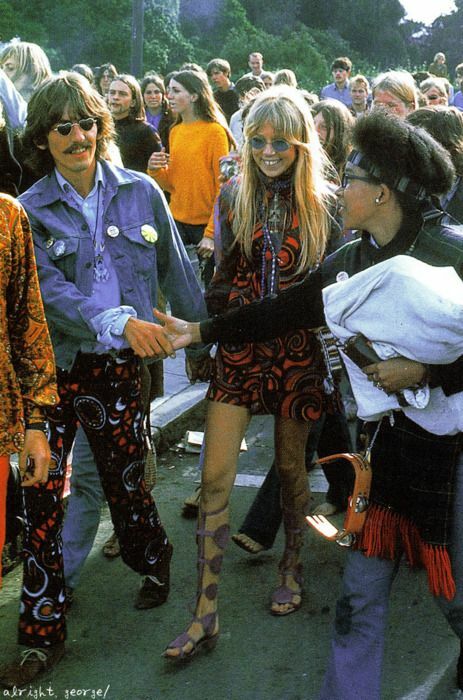 Pepper's was first released back in 1967, it was an immediate commercial and critical success. The album debuted at No. 1 all around the world, and in the decades since, it has reportedly sold over 30 million copies. 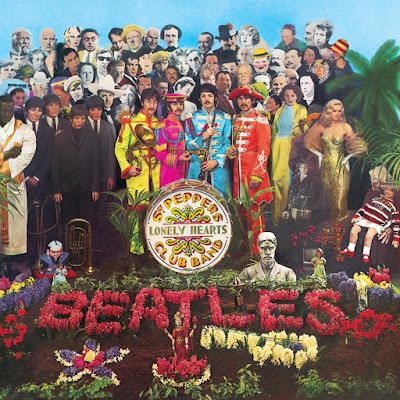 By returning to Number 1 some 50 years after it first topped the Official Albums Chart, Sgt Pepper claims the record for the longest span between an album first reaching Number 1 in June 1967 and returning to the summit in June 2017. Paul McCartney, upon hearing of this, said: "Wow! Who would have thought that good old Sgt.Pepper would be back at number one 50 years on? It's great news and all of us are well chuffed. Pepper rules!" Of course, it certainly helps that Giles Martin, son of original Beatles producer George Martin, totally remastered and remixed the album to give it the contemporary kick that it needed. When George Martin mixed Sgt. Pepper's, he spent three weeks mixing the mono version and three days mixing the stereo version. A few years later, mono records were hardly to be found, so the elder Martin's 1967 stereo mix became most everyone's de facto version. Spot on - - this is simply amazing in my opinion. The quality of the recording, I feel, is one that George Martin would be proud of. 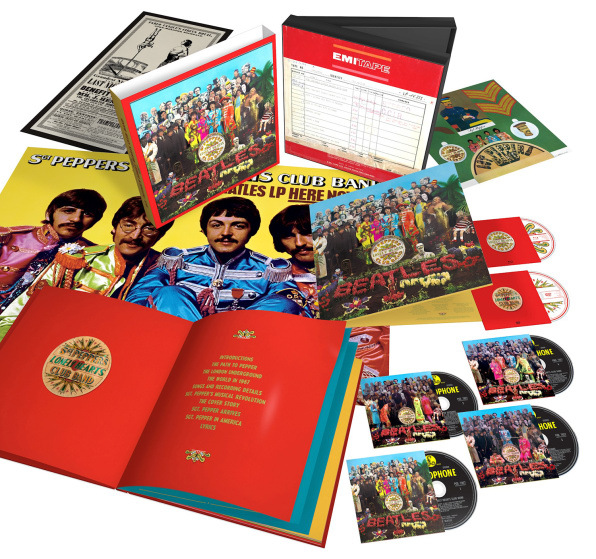 And the box set collection of the anniversary contains four cds, including the newly remastered version, the album in mono, two cds of outtakes, a dvd and a blue ray of the making of the album. Oh! And two posters (including the Benefit of Mr. Kite poster from the 1840s), and a 140 page book! And everything is stored inside a copy of the box holding the original master tapes, which is covered by a 3-D version of the cover. Quite a collector's item for us Beatle fans! I told my 16 year old daughter that she can happily play the album while hanging out with her friends because it's a current smash. The Beatles' eighth UK album, according to The Beatles Bible page, caused a seismic shift in popular music. 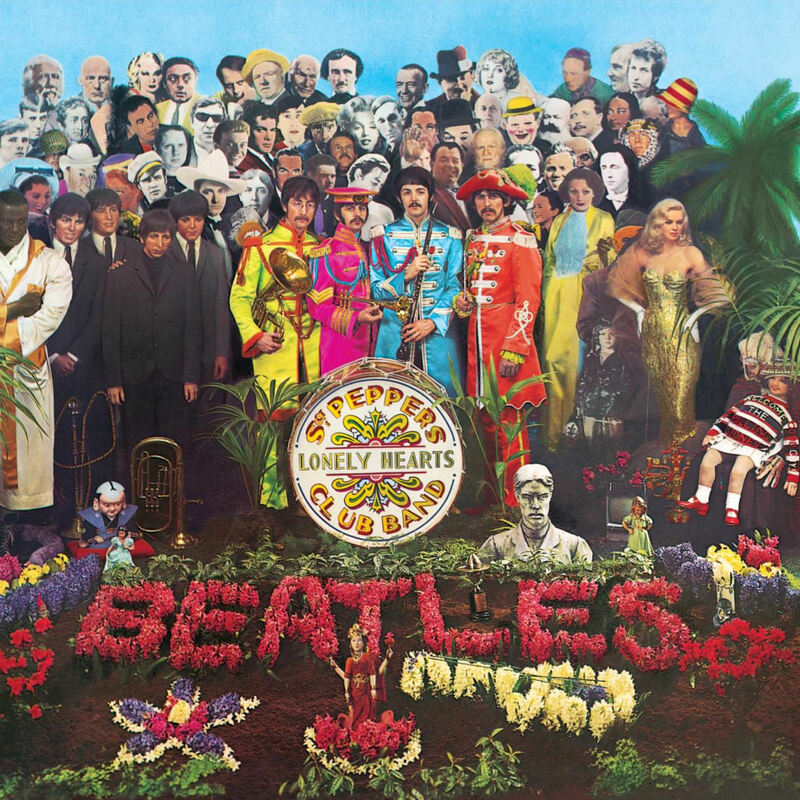 Recorded in over 400 hours during a 129-day period, Sgt Pepper's Lonely Hearts Club Band helped define the 1967 Summer of Love, and was instantly recognised as a major leap forward for modern music. “It would be one of his first gigs in London. Jimi was a sweetie, a very nice guy. I remember him opening at the Saville on a Sunday night, 4 June 1967. Simply put, the importance of Sgt. Pepper's cannot be over-stated. It's kind of humorous to note that only a few weeks before its original release the commentators in the press were stating that due to the fact the group had ceased touring the previous summer and largely retreated from public view, the Beatles were pretty much done, that they were over. 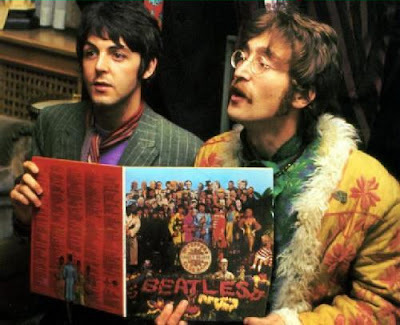 Add to this the Penny Lane/Strawberry Fields Forever single had failed to top the UK singles chart after its February 1967 release (though it did top the US chart for one week). Yeah...the press said the fab four were done. “Hey Paul, what are you so excited about?” asked John. “Really, Paul? What are you on?” replied George. "All summer long we were groovin' in the sand. Everybody just kept on playing Sgt. Pepper's Lonely Hearts Club Band." As I mentioned earlier, this is a breath-taking re-visit to what many still claim to be the greatest album of all-time, and I tend to agree. Funny thing, though, that there are those purists who feel the mono LP version is still the best way to hear "Pepper." Who am I to argue, for it's all a matter of opinion anyhow, right? But I do like a response that I read that was written as commentary to an Amazon.com reviewer who gave this new remix the lowest score possible and praised the mono LP version: "Forget the LP. Get it on a wax cylinder. Sound is much warmer and real. Edison knew this is the superior recording technology. As Lennon said, if you haven’t heard Pepper on wax cylinder, you haven’t heard Pepper." 1967 produced other amazing albums that helped to accent the beginnings of rock music as a serious art form. Oh, there were some fine albums released a year or two previous, such as Dylan's Highway 61 Revisited, the Beatles (yes, them again) Rubber Soul and Revolver, the Beach Boys Pet Sounds...as well as releases by the Rolling Stones, Simon & Garfunkel, and a few others, but it was mainly a singles world in the music industry. I kinda like Ken's list of albums. I own a few myself. So many truly classic albums, all released in that magical hippie 'summer of love' year of 1967. And, yes, I own a copy of each groovy album. Hahaha! I am expecting to see "Ken! I can't believe you didn't include ----"
What I did in making this list is not include an album because "I'm supposed to" - you know, the albums that Rolling Stone Magazine says is a must own even though most people *might* only know one or two songs from it (if any)? No, each album on this list I can consistently listen to repeatedly, and, in my opinion, each one is truly great. I mean, what an amazing array of music from a single year, don't you think? And at the top - - Sgt. Pepper. I may be a bit biased, I will admit, but music like this has proven itself over time, and I believe will continue to do so. I wonder...what will be considered classic from today's music groups? And will it be classic enough to be as popular fifty years from now?